Ask The Contractors Host Todd bird gives his best Tips and Tricks in this Nov 2018 podcast. 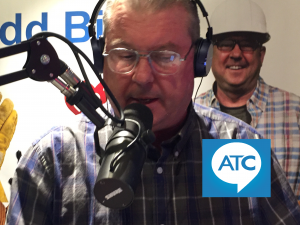 It’s my post-Thanksgiving, gettin’ ready for the holiday, Ask The Contractors podcast. Are you ready? yep! The Thanksgiving table has been cleared and it’s time to look ahead to the Christmas season. I’m Todd Bird, Host of Ask The Contractors radio show and website, and these are my best Tips and Tricks to prepare your home for your holiday guests. If you live in the California foothills CoreLogic says you’re at High Risk for Wildfires. I have the zip codes with the most danger. Housing demand in Oak Park is bringing $500,000 for some new homes. Is that because Millenials are looking hard to buy homes? We answer the question. Then, more House Flipper are House Flopping, and I have something to say about house flippers. We received a Question from one of our Bay Area listeners. Bob wanted to know the average cost per square foot to build in the Livermore Valley. It all depends on the cost of the land, and the amount of regulatory fees. I’ll give you all the details and the answer for a new build of the 1500 sf. home in our Question of the Week, with research from the local paper, The Livermore Citizen that was tracking the issue. Starts at the 13-minute mark. It’s something we do every week, but it takes on extra urgency during the holiday. We’ve put together a checklist to help prioritize your minor home improvement projects over the next two weekends. From cleaning to touch-ups, swap-outs, and renewals. How do we prioritize our checklist? Jump to 28:00 and the beginning of the segment. Do it now: Make sure your appliances are repaired and cleaned ahead of time. Update Your Look: Consider giving the rooms a face-lift. A fresh coat of paint or change the hardware on cabinets. The most important part is to stay on top of home repairs and maintenance by getting a bid from Ask The Contractors Endorsed, Trusted Contractors at AskTheContractors dot com. All of this, and more on this edition of Todd’s Tips and Tricks podcast. Do you have a question for any of our Ask the Contractor Pros? We want to hear from you. Drop us a line below to have your question answered on the air. Subscribe to the podcasts of AsktheContractors.com through iTunes for IOS, Google Play for Android or Stitcher Podcasts to have them downloaded to your computer.